The beauty that is Bears Ears. Now, she can finally do something about it as one of the first Native American women in Congress. On Wednesday, Haaland introduced a bill with Rep. Ruben Gallego (D-Arizona) to restore and expand the boundaries of the national monument, which Trump cut by more than 80 percent. 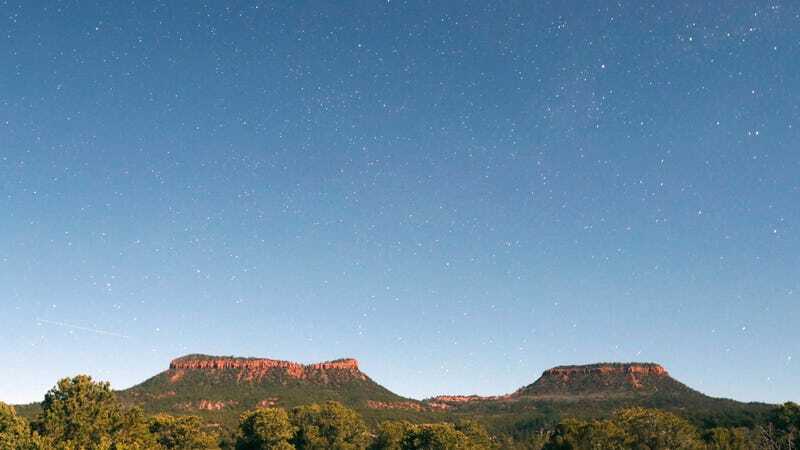 Former President Barack Obama set aside 1.35 million acres when he created the monument in 2016, but the five tribes with the Bears Ears Inter-Tribal Coalition that helped work on its designation originally wanted 1.9 million acres. That’s the acreage this new bill proposes. Utah Rep. John Curtis, whose district the monument sits in, is reportedly pissed since he championed the monument’s removal. He, however, can rest easy: While Haaland expects the bill to pass the House—it’s already got more than 70 co-sponsors—it’s unlikely to become law. That requires a partner bill in the Senate and, ultimately, a signature from the president. The goal, though, is to keep is to keep the pressure on in every way possible. The bill follows a series of lawsuits which sprang up shortly after the re-designation occurred and are still making their way through the courts. The inter-tribal coalition supports the bill, as do environmental groups like the Sierra Club and the Southern Utah Wilderness Alliance. Tribal sovereignty and the protection of cultural artifacts and dino fossils are key issues here, but so is the protection of public lands. The Trump administration has already opened former Bears Ears lands to uranium and gold mining land claims. And fossil fuel reserves could be next. Last March, the New York Times unearthed emails showing that oil and gas played a key role in the Trump administration’s decision to strip the land of its protections. Rep. Deb Haaland, one of the first Native American elected to Congress. Ever. Rep. Raul Grijalva (D-Arizona), who chairs the House Natural Resources Committee where this bill was introduced, is calling for an investigation into the Trump administration’s decision to downsize Bears Ears. He believes industry’s interest in extraction drove this monument reduction. Haaland feels similarly. She doesn’t want to see these lands “auctioned off.” And she certainly doesn’t want to see the infrastructure that’s causing climate change—i.e. oil and gas drilling—ruin the pristine landscape of the region.